Oak Harbor is a Naval Air Station military community of about 20,000 people as of 2006. The presence of Christian ministry on north Whidbey Island has it roots in the evangelistic fervor that drove the early disciples to share the gospel of Jesus Christ. Circuit riding Methodist preachers followed missionaries who led the migration into the Northwest. According to Mary Kline Rose in her book A Great Blessing - The First 150 Years of Coupeville United Methodist Church Methodism spread into the Northwest especially following the establishment of the 49th parallel in 1846. Following a treaty, a boundary and military protection (and with the discovery of gold in California) a flood of Americans came west. The first Methodist congregation to be established in Washington Territory was in Olympia in 1852. The Reverend Benjamin Close was appointed Presiding Elder of the Puget Sound District in 1853. On Sunday April 24, 1853 Reverend Close delivered the first sermon on Whidbey Island and in the days that followed the Coupeville church was established. Bible studies began to be offered in homes near Oak Harbor that same year. 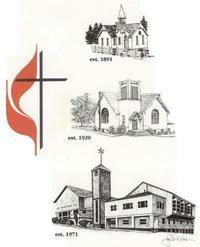 In 1891 the congregation in Oak Harbor was established and a church building erected near Crescent Harbor. The First Methodist Church building built in Oak Harbor in 1920 stood until it was deemed too small and was torn down in 1965. The new building built in 1966 was destroyed by fire and rebuilt in 1971. Classroom and office space was added in the 1950's and again in the early 1970's. A major remodeling and second story addition was completed in 1989. 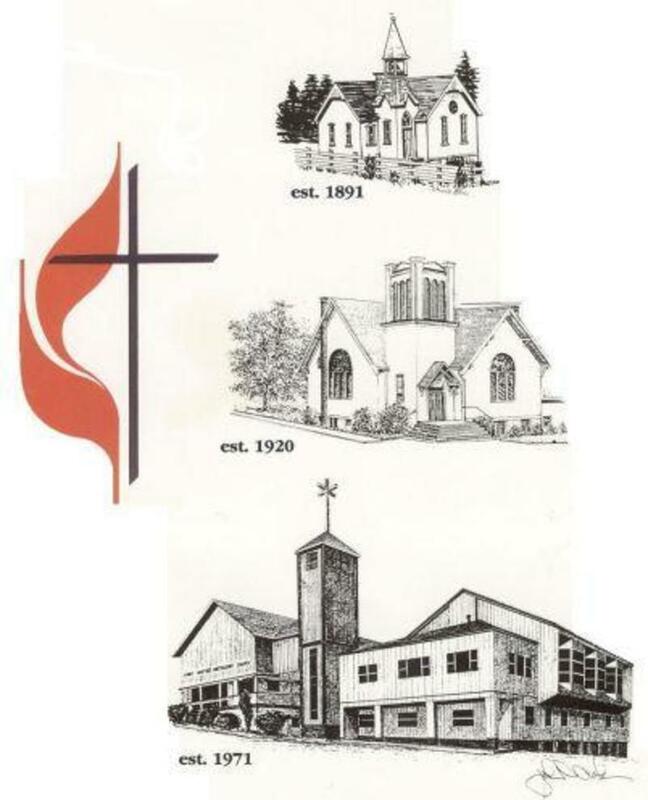 The church name was adjusted to become First United Methodist Church in 1968 when the Methodist and the Evangelical United Brethren churches reunited to become one denomination. The two flames of its logo reflects that union. The church, however, is not primarily of pastoral leadership or of buildings but rather of the people . . . The spirit-filled people who have seen to sharing God's love in addition to the care of the property and of the community are the heartbeat of any church. May God continue to bless this church.